Suffering from non-integrated systems that operated as part of the “primordial technological ooze” the University of Newcastle needed a single system that would make all of their digital collections accessible and easy to engage with online. After an extensive global search, UON selected Recollect to share, manage and grow their historical cultural collections. The Recollect platform allowed for a smooth and easy solution to manage their large digital collections. Recollect has made their material accessible, discoverable and engaging for communities, fellow researchers, partners and future collaborators. 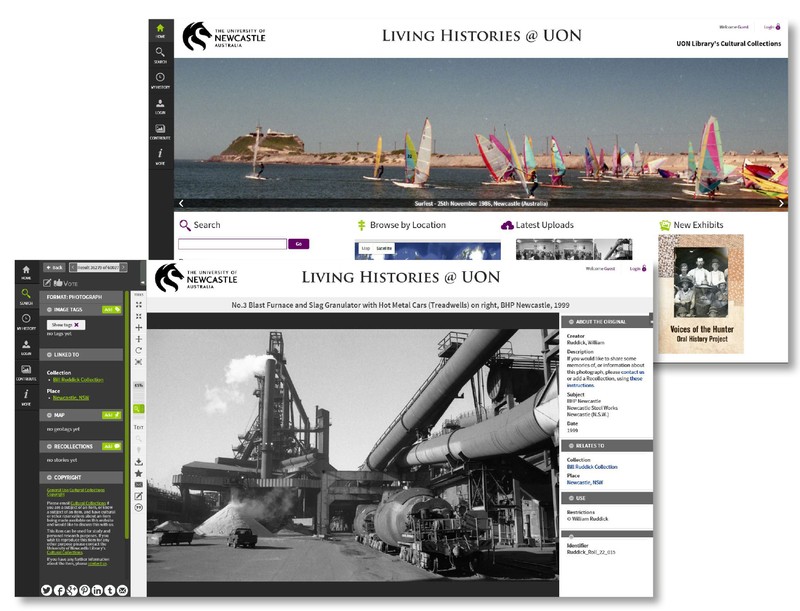 Living Histories @ UON was launched in February 2017 and currently holds the digitised material of the Cultural Collections section of the University Library that includes the Archives and Special Collections. The Archives holds some 2,000 shelf metres of priceless manuscript material dating from the year 1826. These collections contain a great wealth of untapped information and have an extraordinary range and depth for research and are extremely valuable and unique to Australian libraries. Unlimited opportunities for the knowledge to grow. The Librarians and Archivists were faced with the challenge of making the collections easily accessible and discoverable while recording important information and corrections to enhance the knowledge about each item. 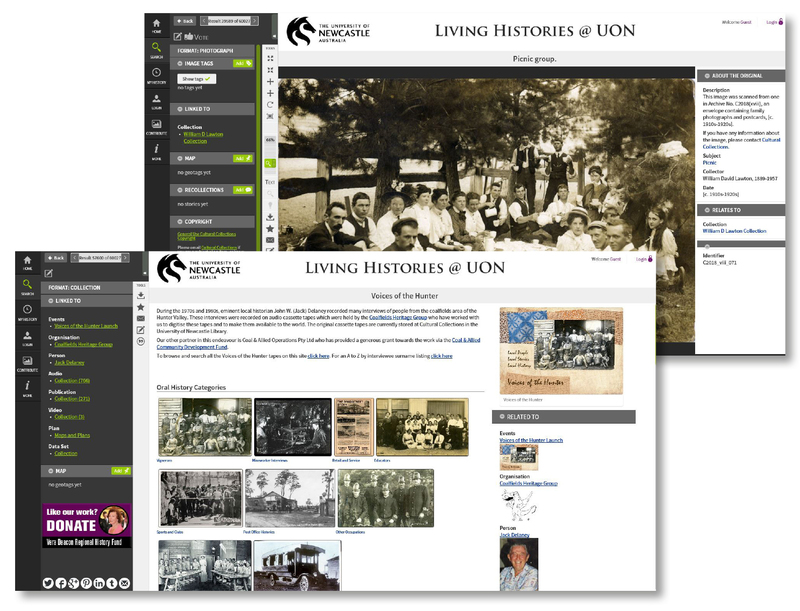 UON were using a number of image sharing programmes and apps to expand the life of their collections and engage with a variety of people interested in viewing historical collections. These previous formats not only created a relatively un-searchable collection of resources, but the valuable and interesting comments that were left on each image were lost in the constant stream of releasing new images. After attempts to find a system that would help grow their knowledge and not just share it, they chose Recollect and Living Histories was born. Recollect provides access to all of their digital resources such as images, documents, audio, video, and 3D files, presenting all data in the same place which can be searched using a single interface. Plus high levels of community engagement functions and the ability to capture contributions and relationships that enhance the knowledge and information stored within Living Histories. Currently Living Histories has a growing number of over 70,000 items that have been uploaded to the site, including over 60,000 photographs, over 4,900 wine labels, almost 3,300 publications and over 1,000 audio-visual items. Living Histories @ UON has a collaborative approach to sharing knowledge and making more collections accessible. They have and continue to partner with many different groups and individuals to support and display unique collections. Recollect has scooped up the ooze and sculpted it into a format that provides unlimited opportunities for the knowledge to grow and help shape the future. To find out how Recollect software can grow your future, contact us for a consultation.